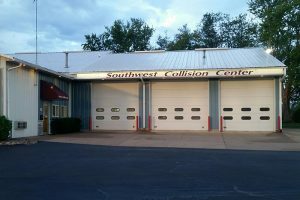 Southwest Collision Center was started in 1987 by the late Mark Boxrucker. It was started as a compliment to the Ford dealership he owned. His goal was to make sure the best was made out of any accident by providing hassle free collision repair. It started with one technician and quickly grew to 4 and a full time manager We quickly outgrew our 2400 square foot shop and in 1993 we built a 5600 square foot and attached the old shop to the new one. Mark supplied the shop with the best of equipment like our down draft paint booth with bake cycle, 4 prep bays custom built to accommodate anything from cars to school buses. 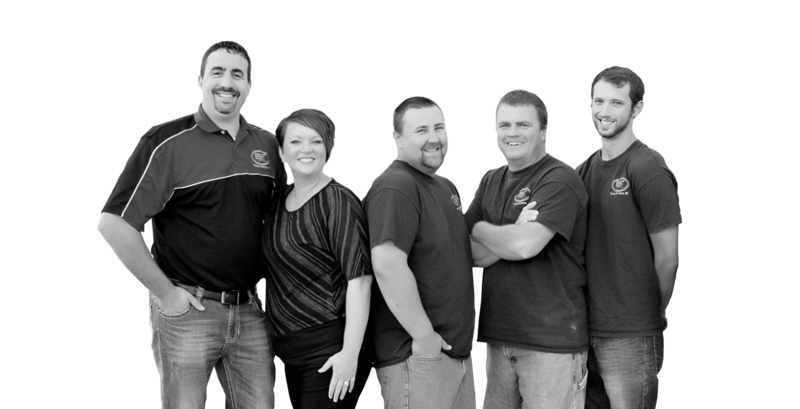 Over the years we have worked everything from motorcycles to semis. It has always been and still is a family business run by Luci after Mark’s passing in 1999 and now handing control over to the next generation – her son Derrick and his wife Sara. It has always been a priority to focus on quality and customer satisfaction. Three full-time and one part-time employee make up the collision team. Shop manager, Jerry Gratz keeps things under control, while Gary Bohland, Kent Johnson and Zach Allen are the body shop experts who make your car look new again! Southwest Collision Center honors our warranty for as long as our customer owns the vehicle. Lifetime warranty against: cracking, checking, sever loss of color or gloss, and peeling. Lifetime warranty against defective workmanship in our repairs: cracking, flaking, or deterioration. We guarantee that we use quality parts and materials. Parts are subject to the manufactures warranty. I was involved in a accident on a Friday afternoon. I called Southwest Collision the very next day and they looked at my truck immediately. SW Collision would call with any questions for my input, they also worked directly with the insurance company to make sure everything was taken care of. My truck looks exactly like it did before the accident. Southwest Collision is very professional and timely with their service. I would recommend them to anyone! When we need professional and quality paint repairs on any of our vehicles or RV we know to go to SW Collision, for we trust their knowledge and honesty about repairs. Thank you Southwest Collision Center for such professional work!